Komatsu parts are in great demand and we here at ConEquip Parts are ready to get your machine back up and running. It isn't a big surprise that our Komatsu parts department is always busy when Komatsu is the second largest construction equipment manufacturer distributing in North America. Fortunately, we have new surplus komatsu parts, new aftermarket parts, rebuilt parts and used Komatsu parts to suit your needs. We offer just about any part you need for your Komatsu equipment. Why use ConEquip for your parts & equipment? ConEquip can ship same day and provide next day service to most of the Continental U.S. and Canada. You can always rely on our knowledgeable equipment parts staff to work with you on finding the quickest, most cost effective solution. 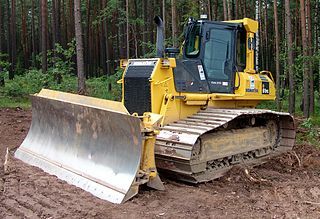 We are a top provider of new, used and rebuilt heavy equipment parts and diesel engine parts. A full staff of experienced construction equipment parts specialists are ready to provide you a personalized solution to your heavy equipment parts needs. Don't hesitate to call, email or fax to get your machine rolling today.